Happy weekend everyone! Spring training baseball has begun and now that we are finished with the positional rankings, its time to break down individual teams. Being here on the West Coast in Los Angeles, I have been given the privilege of breaking down four of the five teams located in The Golden State. This week, I’m starting with the Angels. I will predict their final record, where they will finish in the standings, highlight their key players, while providing you with their projected batting lineup, pitching staff and highlight a couple of their top prospects. I have them finishing fourth in the west this year for a couple reasons: they have a number of question marks in their starting rotation, at 2B and in LF. They also play in a highly competitive division that has three other teams with legitimate shots at making the playoffs (Astros, Rangers, Mariners). Enough of the intro though, lets get to the real action. I spoke about Albert in my corner infield rankings, and although I was hard on him, he is still the second-most valuable hitter on this ball club. His HR numbers were up in 2015, however, the batting average, hits and OBP were all down from 2014. I don’t expect a big season from the 36-year-old which is one of the biggest reasons why I don’t expect the Angels to have much success in 2016. He has been battling foot injuries over the last couple seasons as well, which is another factor to consider. At his age, he not only heals at a slower rate, but injuries affect him more. Look for him to hit over 30 HR, 85 RBI and score around 80 runs. If the players ahead of him in the lineup (besides Mike Trout of course) can have more productive seasons in 2016, his RBI total could go up, even with the drop in HR. He is still a must draft in all formats of course, just don’t reach from him in the first couple of rounds any more. Simmons is known more for his defense than for his bat. He is easily one of, if not the best, defensive shortstops in MLB will definitely help the Angels shore up their middle infield. He was acquired this offseason from the Braves and it will be very interesting to see how he adjusts to the American League and how we will perform offensively in a lineup that features Pujols and Trout. He certainly isn’t inept as a hitter, however he does not rank towards the top in any offensive categories either. Look for him to hit .260, with 6 HR, 51 RBI, 65 runs, a .310 OBP and 140+ hits. He will be available late in drafts and in some formats he will go undrafted. Escobar is coming off one of the strongest offensive seasons of his career. The Nationals traded him this offseason to the Angels and he will hope to build off his success from 2015. He is a former everyday SS and although he may not have eligibility there anymore, he does eligibility at 3B and 2B. In 2015, he set a career high in hits (168), drove in 56 runs, hit .314, with 9 HR and 75 runs scored. I expect all of those numbers to go up in LA, especially hitting either right in front of or right behind Trout and Pujols. He is worth a look in all formats, whether it be as a bench player in certain formats or a utility player in deeper leagues. 2015 was a very productive season for Calhoun. It was his first full big league season, he played in 159 games and definitely made the most of the increase in at bats. His batting average and OBP were down from 2014. However, he set career highs in hits (161), HR (26) and RBI (83). He has become more of a power hitter and run producer than a contact guy. Im not sure where he will slot into the lineup, whether it be in the two-hole or the five-hole. With the increase in HR and RBI last year, it would make more sense to have him in five-hole which will not only provide protection for Pujols, but also increase his RBI chances. I expect another season of 25+ HR and 80+ RBI in 2016. He is a lower level second outfielder and a high end third outfielder in fantasy. Anyone who follows MLB knows who this guy is. He’s the cream of the crop in the baseball and gives the Angels a chance to win every time he takes to the field. He is an excellent defender in the outfield and is an even better hitter. The only knock on Trout is that, his SB totals have decreased every year since 2012 and he only managed 11 last year. That is a very disappointing total when you consider that he has the ability to steal more than 40. It is worth noting that Trout has expressed to experts and the media that he will be looking to steal as many bases as possible in 2016. He is an AL MVP candidate and will likely be the first or second player taken in your drafts. Expect him to score over 100 runs, drive in over 90, hit over 35 HR with 175+ hits, a .310 BA and .390 OBP. Cron has yet to develop into the premier power hitter that some people expected him to be. He did see an increase in playing time last year, which lead to more HR, RBI, R, H, doubles, batting average and OBP. In 2016, he should see every day at bats at either 1B or DH and I expect this to be the year that he breaks out in a big way. Look for the former 1st round pick in 2011 to hit 25 HR, with 75 RBI, 58 R, a .266 BA, .315 OBP and 140 H. He will likely be taken in the middle-to-late rounds of your draft and could provide you a big bang for your buck. He only had 378 at bats last year and you should expect him to have closer to 550-580 in 2016. He is definitely the ace of this pitching staff that is one of the more over-paid and under-performing ones in all of MLB baseball. He missed the beginning of the season in 2015 while recovering from an injury suffered at the end of the 2014 season. Much of the Angels success will come down to how they pitch, especially with the other great pitchers in their division. Richards is expected to be the leader of the rotation and they Angels will need him to reach 200+ innings again in 2016. If he is able to pitch the way he did in 2014 and start 32 games or more like he did in 2015, Richards has the potential to be a high end number two starter in your fantasy rotation. However, based on 2015 stats alone, he is more of a third pitcher with the potential to be more. His best years are well behind him and he has seen his ERA increase every season since the start of 2011. His BAA has also gone up every year since 2011 and its safe to say that Weaver is no longer a top option in fantasy or in the Angels rotation. If we go strictly based on last season, its difficult to even justify having him on your roster at all, seeing that he only pitched 159 innings and had an ERA of 4.64. For the first time in his ten year career, he also finished with a record under .500 and was more of a detriment to rosters rather than being the consistent and reliable SP he’s been in the past. If he can have a strong spring and even regain his 2014 form in which he threw over 200 innings and had an ERA of 3.59, then you can feel comfortable having him as a fourth or fifth starter in your rotation. If you’re relying on him for anything more than that, your team will be in serious trouble. If Heaney can take over as the number two pitcher in this rotation and solidify himself as a bonafide MLB starter, the Angels could have a much better season than I am giving them credit for. Heaney was a top-ten pick back in 2012 and has the potential to be an ace in the big leagues. The problem is that he only has 23 starts at the MLB level so unless you are in a dynasty format, you may not want to reach for him in drafts. Due to his success in just over 100 innings in 2015 and the hype surrounding him as a former top prospect, he will be drafted relatively high in drafts and personally I prefer to use my higher draft picks on players with more of a proven track record. With all that being said, in a full season, Heaney has a chance to reach 190 innings, 160 K’s, 15 wins, an ERA under 3.50 with a .245 BAA. He was only able to make 21 starts last season and he was not nearly as effective as his contract would dictate. C.J. is one of the most overpaid SP in baseball and at the age of 35, there is not much hope for a successful 2016. Its worth noting that his 2015 season was an improvement on his 2014 season which was easily the worst of his career since he became a full time SP back in 2010. I am personally avoiding Wilson in my fantasy drafts and would only consider taking him in the last couple rounds. He will likely be on most of your waiver wires by mid season at the latest, making him a prime candidate to be what I like to call a “serial spot starter”. His best season with the Angels was back in 2013, and in the off chance that he regains that form, I would suggest giving him a look. If you are interested in Wilson, I’d look to see how he does in spring training this year, even though traditionally spring training numbers mean very little. He broke onto the scene as an everyday SP back in 2014. At the time, he was a 27-year-old rookie and was a huge reason why the Angels were able to win the AL West that year. He went 16-4 in only 20 starts and posted a 3.04 ERA in 136 innings. Sadly for the Angels and any owner who drafted him in 2015, Shoemaker threw less innings than in 2014, was only 7-10 and had an ERA of nearly 4.50. His strikeout numbers were down and his BAA was up, making him quite the risky draft pick in 2016. It is also possible that Hector Santiago will get a shot to make the opening day rotation and based on last season and the salaries of some of the other guys in the rotation, Shoemaker is the most likely choice to lose his rotation spot. Although he is still the odd man out heading into the spring, Santiago is coming off the best season of his MLB career. He set career highs in innings(180.2), K’s (162), BAA (.227), W(9) and starts (32). He had better statistics than Weaver, Wilson and Shoemaker in 2015 which may help his cause. Regardless of whether or not he cracks the rotation, Santiago is no more than a sixth starter on fantasy rosters. He is worth keeping an eye on, but its unlikely that he will do enough to help your roster unless he is filling in for an injured player. The one thing he has going for him is that he’s always been very consistent so you do know what you’re getting out of him, making him a low risk option. There isn’t much to say about Smith besides the fact that he’s very consistent and a very important part of the Angels bullpen. He’s a very reliable set-up man and is the next in line for saves if Huston Street struggles or gets injured. In certain fantasy leagues that reward holds and inherited runners stranded, Smith has a lot more value and should be targeted in most drafts. If all you are looking for is saves out of your RP’s, there is no reason to draft him and you will only want to add him if one of the issues I mentioned above happen to Street. He may not be one of the top-five closers, however, he’s been doing a fantastic job of closing out games since 2005. He has been the closer with four different MLB teams and he’s recorded at least 15 saves in each of his 11 big league seasons. He has 81 saves over the last two seasons and he will likely have 35-40 again in 2016. His ERA was a tad bit inflated last year but he still managed to record saves in 40 of 45 opportunities. He is a high-end closer two and a low-end closer one in fantasy so you definitely should not shy away from drafting him. Every successful MLB team needs a quality and reliable arm in the back end of their bullpen and that exactly what Street is these days. As a SP, Alcantara has a lot of work to do before he gets to the big league. It is certainly not due to a lack of stuff. He possesses an explosive fastball that can reach 98 MPH with an above average slider and an improving change up. The biggest knock on this 22-year-old flamethrower is that he has a lot of effort in his delivery which creates inconsistencies in his delivery which is the biggest reason for his lack of control. Until he is able to throw strikes at a more consistent basis, Alcantara will be stuck in the minor leagues or even shifted to the bullpen. His MLB ETA is sometime in 2017. Gatto is only 20 years old entering the season. He will likely be in the minor leagues for all of 2016 and 2017, but should contend for a rotation spot in 2018. He is a phenomenal athlete, who played three sports in high school, and was signed by the Angels out of high school in 2014. He will not over power hitters, however he has a low 90s fastball, an above average power curveball and a change up that he continues to work on. He definitely needs more time at the professional level, but once his raw athletic talent is molded by the Angels development staff, Gatto should be a solid SP in MLB for years to come. This wraps up the 2016 preview of the Los Angeles Angels. Next week I will be breaking down the Los Angeles Dodgers. 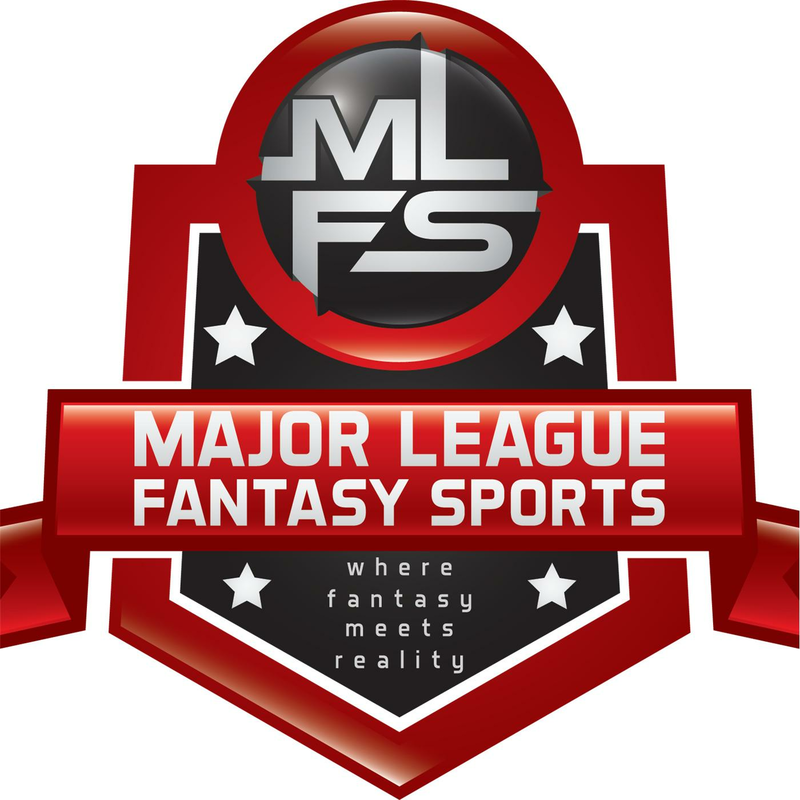 Remember to tune into Major League Fantasy Baseball Weekly every Thursday night at 8pm EST. I host the show along with fellow writer Kyle Amore. You can follow me on Twitter @In_Lou_Of or on Facebook at Lou Landers. I hope you enjoyed this article, have a great week.